The Russian ruble is second only to the Ukrainian hryvnia in losing value since the beginning of the year, shedding almost 40% of its worth, Russia’s RBK news channel reported on Thursday. 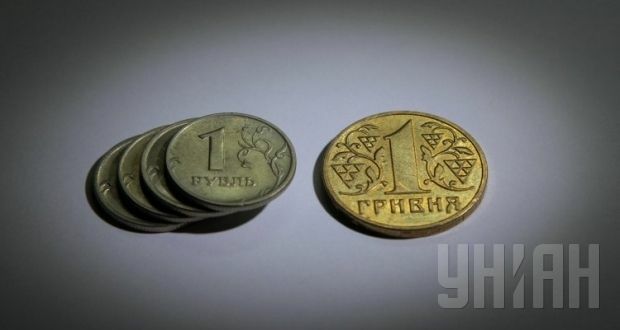 Over the same period the Ukrainian hryvnia has lost 46% of its value, the channel said. The world’s other weak currencies have kept a respectful distance from the leaders: Ghana’s cedi and the Argentine peso, which are the next biggest losers after the Russian and Ukrainian currencies, have depreciated by "only" a quarter. As UNIAN reported earlier, the Russian currency market reacted negatively to the beginning of today’s message of Russian President Vladimir Putin to the Federal Assembly, with the ruble dropping again in value.